Zink ist unverzichtbar für unsere Gesundheit. Das Spurenelement spielt in einer Vielzahl von Stoffwechselreaktionen eine Rolle: Es ist an der Funktion von etwa 300 Enzymen des Zellstoffwechsels beteiligt und in 50 Enzymen enthalten. Zink ist wichtig für das Wachstum, die Haut, die Insulinspeicherung und die Eiweißsynthese, die Spermienproduktion und das Immunsystem. Zink ist ein essentielles Spurenelement und für zahlreiche Prozesse in unserem Körper unentbehrlich. Zinc is a mineral naturally abundant in animal protein, especially red meat, turkey, oysters, and shrimp. Plant foods also provide zinc, particularly pulses, legumes, nuts, and seeds, such as cashews, pumpkin seeds, beans, lentils, and quinoa. It is important for the functioning of over 300 enzymes and underlies the physiology of every body system. 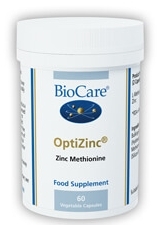 Zinc supports the growth and function of the cells in charge of our immune defences. In doing so, it helps us to have a strong immune system capable of fighting off viral and bacterial threats. It also supports the function of the enzyme superoxide dismutase (SOD) which protects body cells (e.g. sperm) from oxidative damage caused by exposure to environmental toxins, for example. Furthermore, it is involved in the production of the neurotransmitters involved in mounting a response to stressors, including adrenaline, as well as dopamine which helps to regulate our mood, concentration, and motivation. When we are under chronic stress, whether emotional (e.g. work, bereavement) or physical (e.g. trauma, overtraining), we are at risk of using up zinc more quickly than we are able to replenish it. 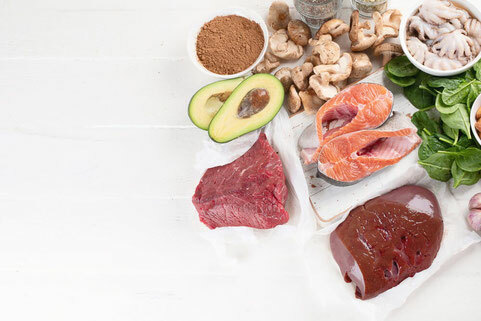 This can leave us prone to a sub-optimal zinc status which may make us even more vulnerable to infection as well as other health issues, such as depression. Inadequate dietary intake - vegans and vegetarians are susceptible to this because plant foods are less abundant in zinc than animal protein, and often rich in a substance called phytic acid which inhibits the absorption of minerals. Poor absorption - common amongst those with chronic digestive conditions (e.g. inflammatory bowel disease) and diarrhea. 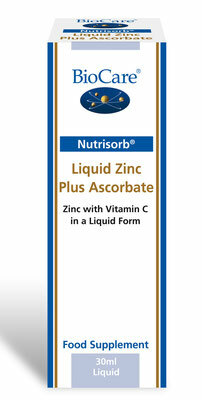 Low stomach acid levels driven by ageing and stomach acid lowering medications, can also impair zinc absorption. This is common amongst the elderly, and this may partially account for why they are at high risk of zinc deficiency and immune complications such as pneumonia. High utilisation, or ‘draining’, of zinc - often due to high stress, as well as pregnancy, breastfeeding, high alcohol intake, and chronic use of other ‘zinc-depleting’ medications such as diuretics. If any of this sounds familiar, optimising your zinc status may well be the missing link in your path to optimum health. Zinc supplementation has been shown to be beneficial for a wide range of clinical scenarios, including depression, intestinal hyperpermeability (or ‘Leaky Gut’), respiratory infections, and low testosterone levels. How Do I Increase my Zinc Status? Increase your daily intake of a range of zinc rich foods. If vegetarian, also include organic free range eggs. To improve the absorption of zinc from phytate-rich plant foods such as pulses, legumes, grains, nuts, and seeds, try soaking, fermenting, or germinating (‘sprouting’) them, as these methods can reduce the phytate content. This is especially important for vegans and vegetarians. Support your ability to handle stress by practicing a daily relaxation technique and increasing your intake of calming herbs and nutrients, such as magnesium, lemon balm, and L-theanine. Also reduce your alcohol intake. Support your digestion and absorption, starting with mindful eating and probiotic and digestive enzyme supplementation. Consider daily zinc supplementation, especially if you are vegan, vegetarian, pregnant, breastfeeding, and for children as well, and seek the advice of a Registered Nutritional Therapist for tailored advice according to your unique health needs.